Saw this shop wall in Tasmania. As Mr.W. knows, I am rather keen on fuchsias. Now that is a wonderful display, I'm sure that made your day Ab. The flowers are displayed really well like that. Lovely photo! 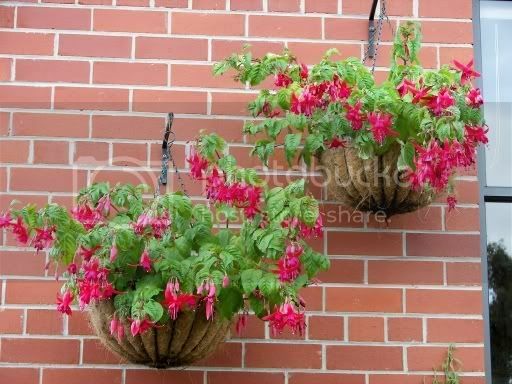 Lovely... they look so good in the hanging pots angled they way they are... ..noted..